Larvae have been found on a number of species of Cordyline. These are often planted in gardens. Mature larvae are pale green with three darker green bands, head pale brown. Adults distinguished by the white club on the antenna. 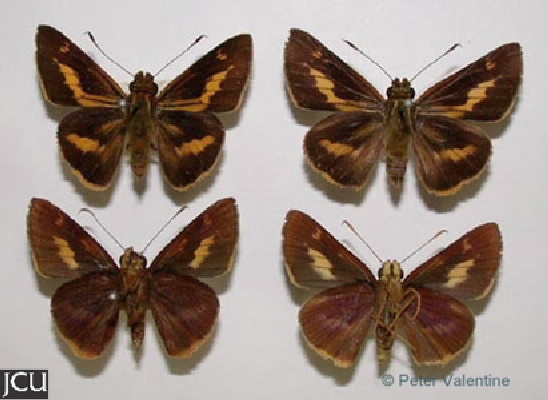 Basically dark brown with orange spots, yellowish lower margin to hind wing.